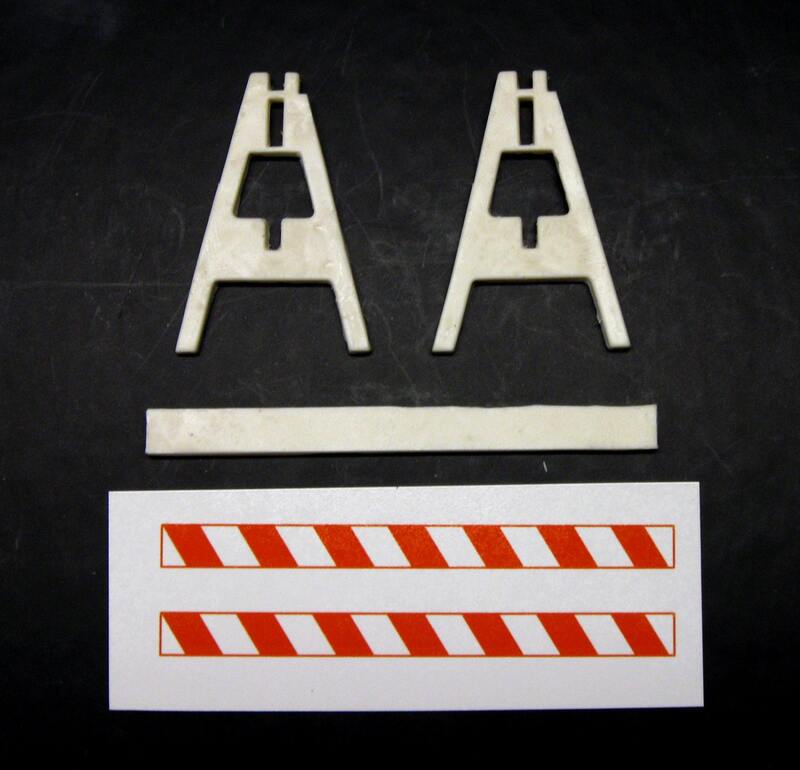 This is a resin saw horse barricade for 1/24, 1/25 and G scale models and dioramas. The three piece saw horse measures approximately 1 3/4" x 3" when assembled. 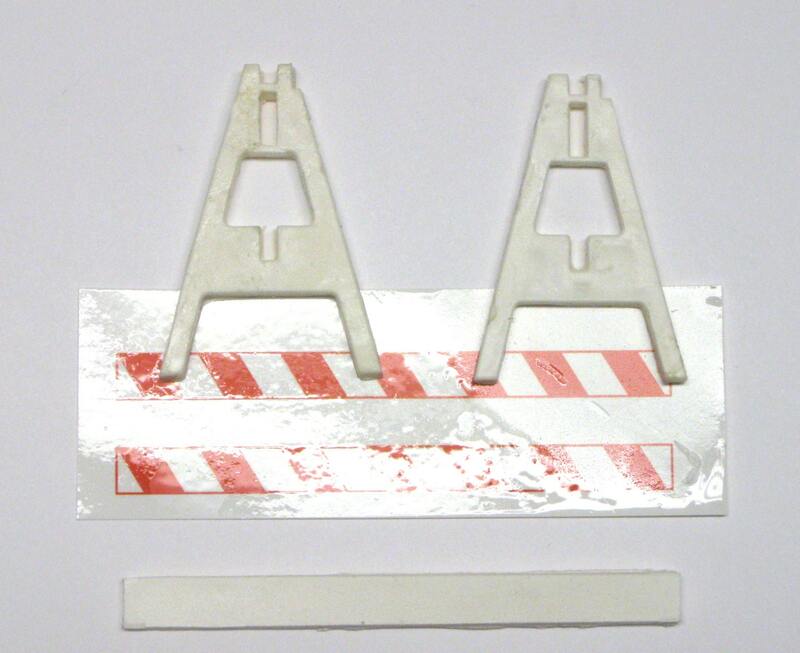 The kit includes warning markings printed on white waterslide decal paper. It has minor air bubbles and flash and requires minimal clean up. It can be painted with enamel, acrylic, or lacquer paints. This is a scale fire saw horse for scale model vehicles. It is not a real sawhorse.